Grandview might be the strangest writing app on your Mac. I really have a lot of writing apps: Pages, Mellel, ByWord, iA Writer, and OmmWriter to get into the flow. I know I am an addict. But today, I found out about Grandview, and none of my previous apps are like it. Its secret: It only shows you one word at a time! 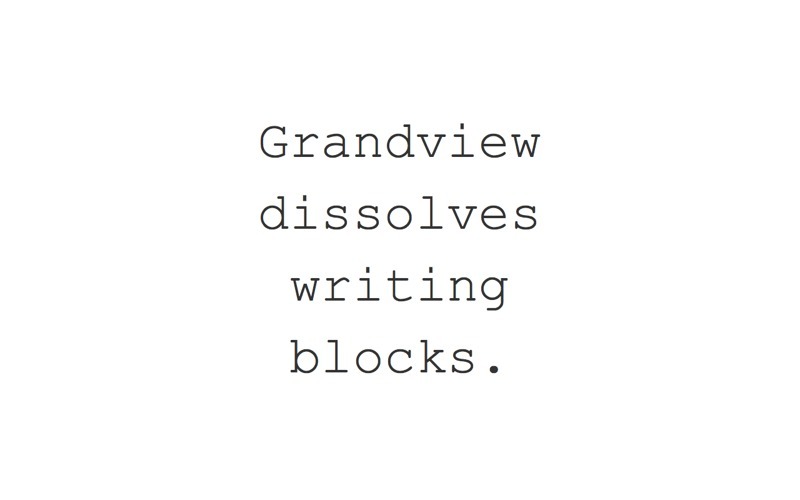 As I am writing this post on Grandview, I must say that it is indeed an interesting writing app. Although there is a setting that you can see your complete text (shortcut: Command + =), this app only makes sense when you are using the standard one-word-at-a-time view. In this mode, the letters are flashing over your screen as you type, and it is not until you close a sentence that you can have a look at what you have just written. If you find yourself editing your unfinished sentences mid-through all the time, this might be a liberating experience for you. 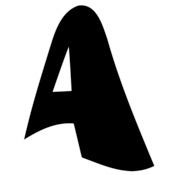 However, it is a little bit strange that the font size changes with every additional letter you are writing. Strange as it is at first, I am already getting used to it, and I think that this mode might stimulate me to choose shorter words and to write shorter sentences; even when this one doesn’t look like it does! Anyways, this app might be a good way to get into writing when you are feel blocked. 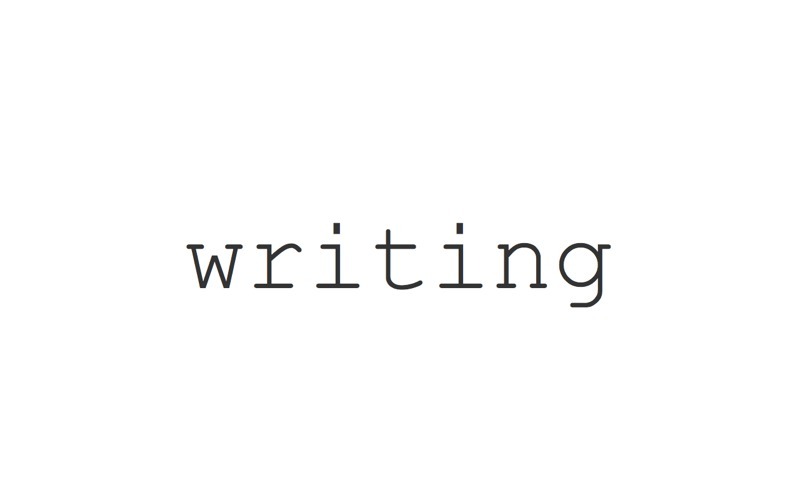 It seems to be well suited for free writing exercises and to get first drafts on paper. 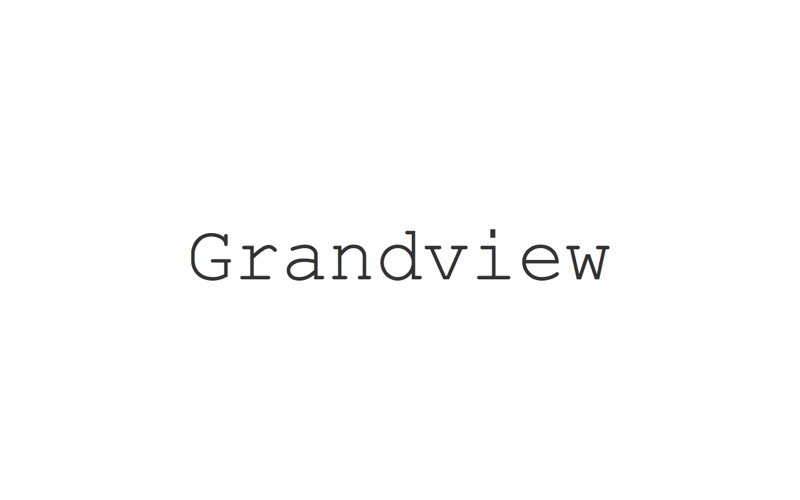 It might be a little difficult to write long arguments with Grandview, but I don’t think that this is the intent of the app. One thing I like most about Grandview is that it is always ready to help you overcoming your writing block when you need it. Once activated, it lives in your menu bar, and pressing a customizable shortcut (default: Command + Shift + A) brings it up full screen. You can type away a sentence, a paragraph or more until you have made your point. Once you think you are done or you made it back into your flow, you simply press Escape to switch back to the app you used before. The text you have just written in Grandview is waiting for you in your Clipboard, ready to be pasted into your actual writing app. A truly simple and elegant solution! So if you are suffering from white page anxiety, as I do, do yourself a favour and give this app a try. It is currently available for FREE (normally it is between $5 and $14), so grab it before the price bounces back up. Disclaimer: All images by academiPad. Please consider sharing this article if you found it useful.